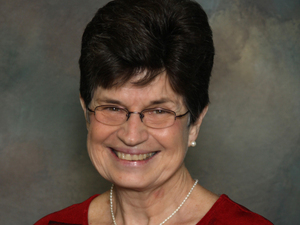 Sister Pat Farrell is the president of the Leadership Conference of Women Religious and the vice president of the Sisters of St. Francis in Dubuque, Iowa. “I would say the mandate is more critical of positions we haven’t taken than those we have taken,” says Sister Pat Farrell, the president of the Leadership Conference. “I think the criticism of what we’re not talking about seems to me to be unfair. Because [Women] Religious have clearly given our lives to supporting life, to supporting the dignity of human persons. Our works are very much pro-life. We would question, however, any policy that is more pro-fetus than actually pro-life. If the rights of the unborn trump all of the rights of all of those who are already born, that is a distortion, too — if there’s such an emphasis on that. However, we have sisters who work in right-to-life issues. We also have many, many ministries that support life. We dedicate to our lives to those on the margins of society, many of whom are considered throwaway people: the impaired, the chronically mentally ill, the elderly, the incarcerated, to the people on death row. We have strongly spoken out against the death penalty, against war, hunger. All of those are right-to-life issues. There’s so much being said about abortion that is often phrased in such extreme and such polarizing terms that to choose not to enter into a debate that is so widely covered by other sectors of the Catholic Church — and we have been giving voice to other issues that are less covered but are equally as important.